Why should you fundraise for us? With your fundraising, you can help us achieve and reach our goals and deliver on the UN agenda outlined in the Sustainable Development Goals. 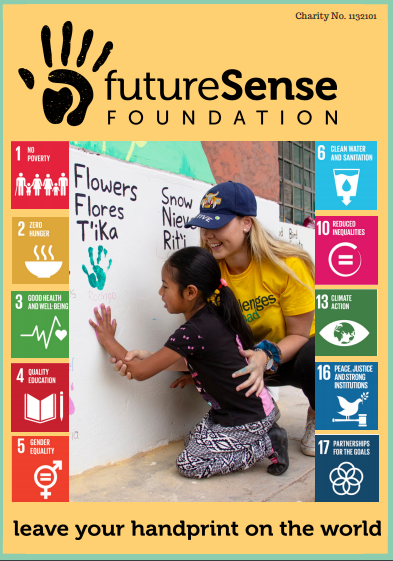 The FutureSense Foundation work towards improving education, livelihoods and health in the most disadvantaged communities overseas. We work in 6 international hubs with the aim of improving the poorest areas of society. We are also members of the Fundraising Regulator with is a UK Charity regulator which works to improve fundraising standards and build public trust. Their vision is a world in which fundraising is ethical and giving is sustainable; where donors and fundraisers have respect for each other. How to fundraise for us? Fundraising events are a fantastic and fun way for people of all ages and abilities to help raise valuable funds for the work of the FutureSense Foundation. Whether you want to tick something off the bucket list, achieve a life-long ambition or to simply do something to help others, taking part in a fundraising event really will make a difference to the work we do overseas. We have an enthusiastic and dedicated team ready to support you with ideas, fundraising materials – or for a pre-event pep talk, if you need us, we are here! Please don’t hesitate to get in touch via phone at 01635 285 669 or email through our Contact Us page. enables us to provide a child in Cambodia with supplementary Education, books and a medical check-up. enables us to provide children at under resourced schools with a desk so they no longer have to sit on the floor. enables us to provide children at school with clean drinking water. We have a few different resources you can use to help you with fundraising and ideas! Keep in mind that these fundraising resources were created in the UK and as such, a number of the holidays or information in the resources may not be relevant for Australian fundraisers. However, have an explore yourself as there’s some great ideas and materials to help you with your fundraising efforts!